Outer Boroughs finds beauty in rarely photographed outer-borough neighborhoods in Brooklyn, the Bronx, Queens and Staten Island. 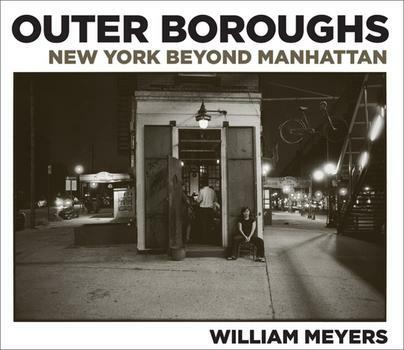 Through compelling streetscapes and cityscapes, evocative pictures of structures, objects, interiors, group shots and candid portraits of individuals taken between 1990 and 2009, William Meyers (born 1938) pays tribute to the outer boroughs and fills a void in the photographic tradition of the changing city. Historical photographs of New York City are almost exclusively of the landmarks, buildings and streets of Manhattan, and the best-known New York street photographers―figures such as Berenice Abbott, Weegee and Helen Levitt―tended to work solely in Manhattan. But Meyers' photography explores the unsung pockets of the outer boroughs where most of the city's inhabitants live and work, the overlooked and underexplored spaces of the city.